Justice AK Sikri, the second senior-most judge in the Supreme Court after Chief Justice Ranjan Gogoi, retired on Wednesday (March 6). As is the convention, Justice Sikri joined Chief Justice Gogoi and Justice SA Bobde on the bench in court number 1 on his last working day as a judge of the apex court. As several lawyers and members of the Supreme Court Bar Council, including Solicitor General Tushar Mehta, lined up to bid him a warm farewell, Justice Sikri broke down for a moment before saying that working as a teacher to the young lawyers appearing before him during his stint as a judge will remain his real asset. During his six year stint in the apex court, Justice Sikri was part of different benches – he headed some – which delivered various landmark verdicts, including those that granted the transgender community status of a third gender, one that upheld the constitutional validity of Aadhaar and the judgment which defined the separation of powers between the Delhi government and the Lieutenant Governor of the national capital. However, Justice Sikri’s last lap in the Supreme Court was marred by a few controversies. In May 2018, he headed the bench also comprising of Justices SA Bobde and Ashok Bhushan which had, after a dramatic post-midnight hearing, allowed BJP leader BS Yeddyurappa to take oath as Karnataka chief minister despite his party not having the numbers to form a government in the state that had thrown up a hung verdict immediately followed by a post-poll alliance between the Congress party and the Janata Dal (Secular), which together had the required legislative strength to clear a floor test. Yeddyurappa was forced to resign days after he was sworn-in as his party failed to muster the legislative strength required to prove its majority in the Karnataka Assembly. More recently, Justice Sikri was in the eye of a political storm for siding with the opinion of Prime Minister Narendra Modi in the selection committee mandated to appoint (or remove) the CBI director – a decision that led to the summary dismissal of Alok Verma as the chief of the investigation agency, just 48 hours after his conditional reinstatement to the post by the Supreme Court. Justice Sikri had been nominated to the selection committee by Chief Justice Ranjan Gogoi. Days after the selection committee, by a 2:1 majority (the dissenting member was Congress leader in Lok Sabha, Mallikarjun Kharge), sacked Verma, it came to light that Justice Sikri had accepted an offer from the Centre’s to nominate him as a member of the London-based Commonwealth Secretariat Arbitral Tribunal (CSAT). 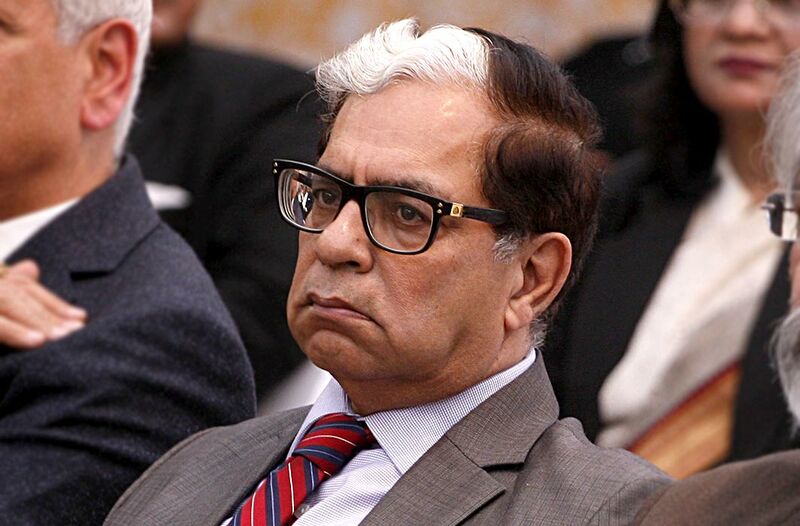 Amid an uproar over the report and insinuations by the Opposition that he had possibly agreed with the Prime Minister’s view on Verma because of the government’s decision to give him a plum post-retirement job, Justice Sikri had later withdrawn his consent to join CSAT.